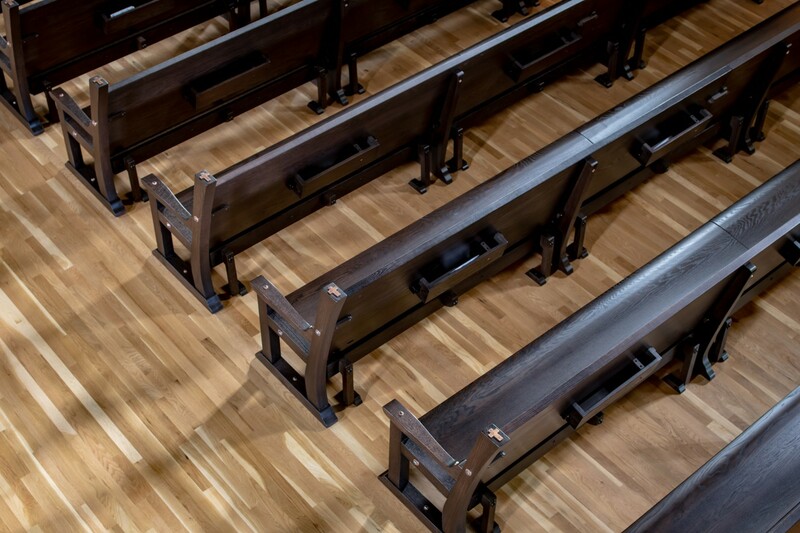 Seating is typically the most visually prominent and most used interior element of any worship space. Unfortunately it is also often the most overlooked, with pews or chairs ordered at the end of a project from a catalogue. 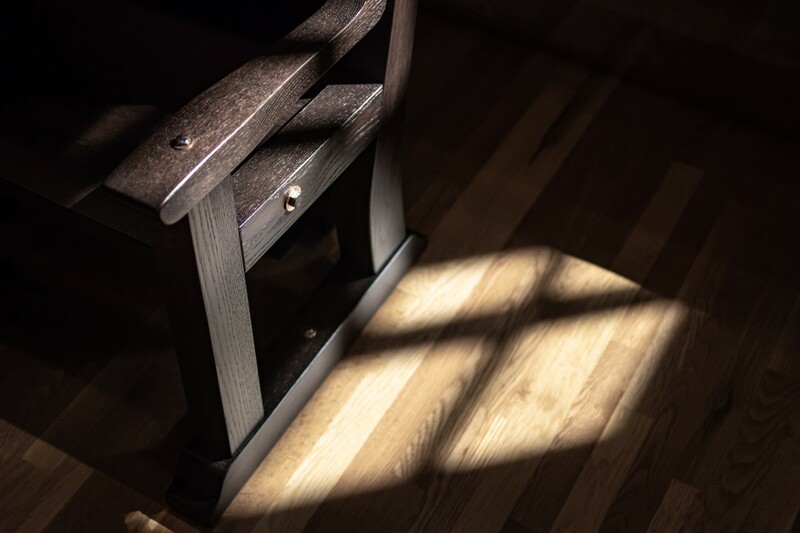 Founder and lead designer Geoffrey Keating made his mark as a chair maker. He brings this hard won knowledge of design lines and ergonomics to Sacred Spaces. 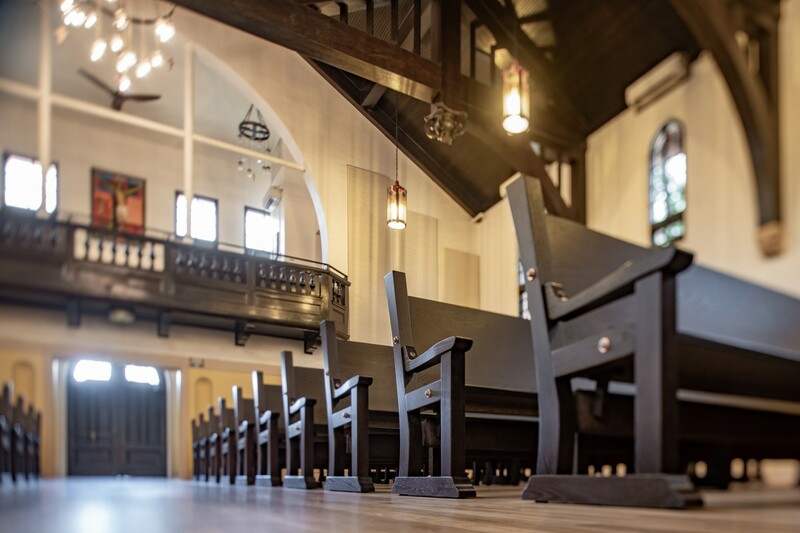 From simple Mission style pews to ornate, Gothic end caps, to individual chairs, Keating designs his seating to complement the space and to be a point of pride, something beautiful and comfortable that will last for generations to come. The pews shown in the sample photos were designed with the rustic benches of the Spanish Missions in mind. 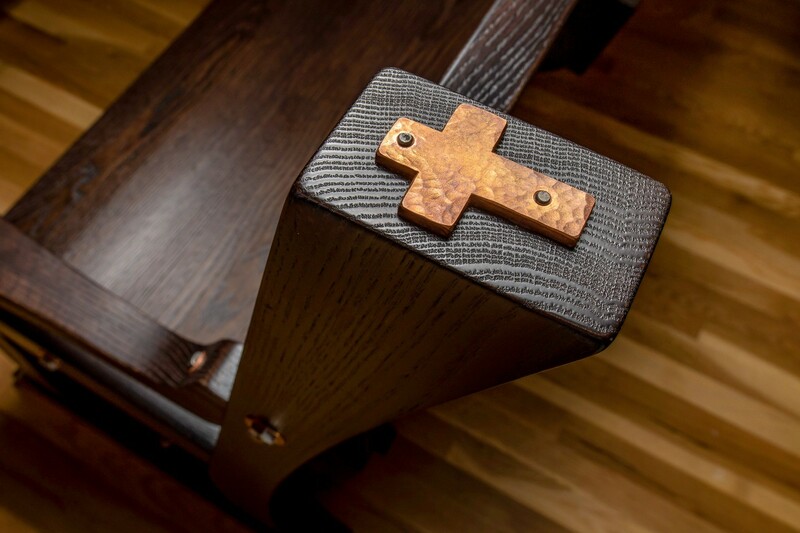 Hand wrought bolts and hand made copper crosses serve as accents and structural components and hand made wooden kneelers and dovetailed hymnal racks complete the pew.